Regier and Juresic, LLC provides quality, personalized financial guidance to local individuals and businesses. Our expertise ranges from basic tax management and accounting services to more in-depth services such as financial statements, and financial planning. By combining our expertise and experience we assure that every client receives the close analysis and attention they deserve. Our dedication to high standards and work ethic is the reason our client's use Regier and Juresic, LLC. Our goal is to help clients maintain financial viability in the present, while taking a proactive approach to achieve future goals. This requires open communication to reach an understanding of our clients' needs through research and sound analysis. Regier & Juresic, LLC is dedicated to meeting these goals with high standards of excellence and professionalism. 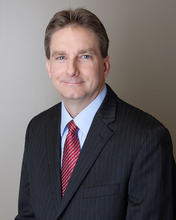 Larry has been practicing as a certified public accountant since 1988 when he graduated from Bethel College. With 29 years experience, Larry brings a wide variety of skills and knowledge to all of his clients. Larry is a member of the American Institute of Certified Public Accountants and the Kansas Society of Certified Public Accountants. Larry is very active in his church and enjoys time with his family and friends. Lynette graduated from the University of Central Missouri in 1986. 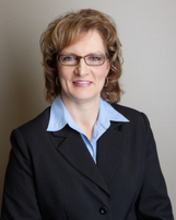 She began her professional career with a privately held company before entering public accounting in 1987. She is a Missouri girl but has lived in Kansas for over 30 years. The focus of her professional career has been on building relationships with clients and trusted advisors. She attributes her professional success to her faith and her ability to listen to clients and assist them in making informed decisions. She is a member of the American Institute of Certified Public Accountants (AICPA) and the Kansas Society of Certified Public Accountants (KSCPA). Lynette currently serves on the Board for United Way of the Plains and as High Plains District Committee Chair and as a Board Member for Quivira Council Boy Scouts of America. She also serves on the Board of the United Methodist Health Ministry Fund as well as the Finance Committee. Lynette is active in her church where she directs the childrens bell choir. She is married and has 2 grown children.